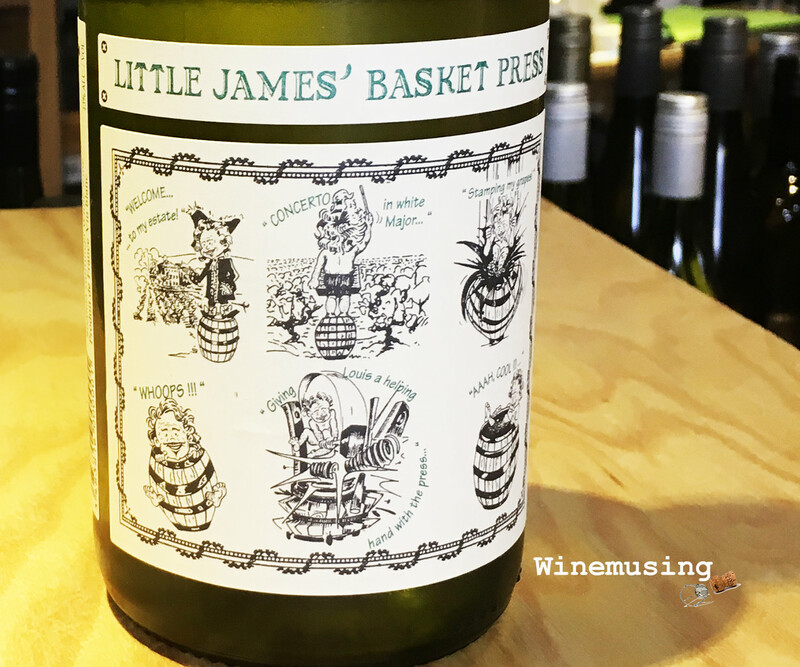 The ‘Little James Basket Press’ white is an interesting blend of viognier and sauvignon blanc in equal parts by the well known Gigondas based producer, Saint Cosme. I like Louis Barruol’s thinking here when he says ‘Playing notes does not make music – they need to be meaningful and blend together seamlessly. Wine is the same.’ In this wine, he has allowed both grapes to sing without meeting in a noisy crescendo. Instead the nose is immediately pretty and intense with ripe apricot, melon, tropical fruit and a hint of some underlying spice. In the mouth, it delivers on that promise with full bodied curvaceous pleasure. There is a silk to the opulence of the fruit which finishes dry with a savoury pithiness just to remind you that the wine is in no way all about the headily, perfumed fruit. This savoury finish also means that you might just find yourself reaching for another glass of this easy going quaffer, even before that spicy fish dish you are cooking is ready. You certainly will not be able to wait until that BBQ’d spatchcock is done for a refill. Just enjoy it! Note: This review was first published 19 September 2018.